Dragons. Monsters. Tricksters. The Rat Queens have seen-and slayed!-it all. 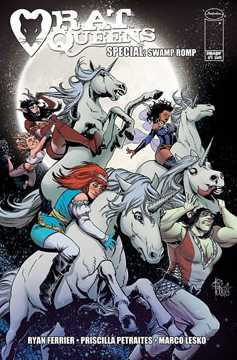 But when a dying man of great wealth hires our heroes to exact revenge for the murder of his prized unicorn, Betty, Hannah, Braga, Violet, and Dee are suddenly thrust into a quest that may bring them face-to-face with a mythological creature thought only to exist in bedtime stories. This is Palisade's urban legend, and it will end with either death or a mass fortune. 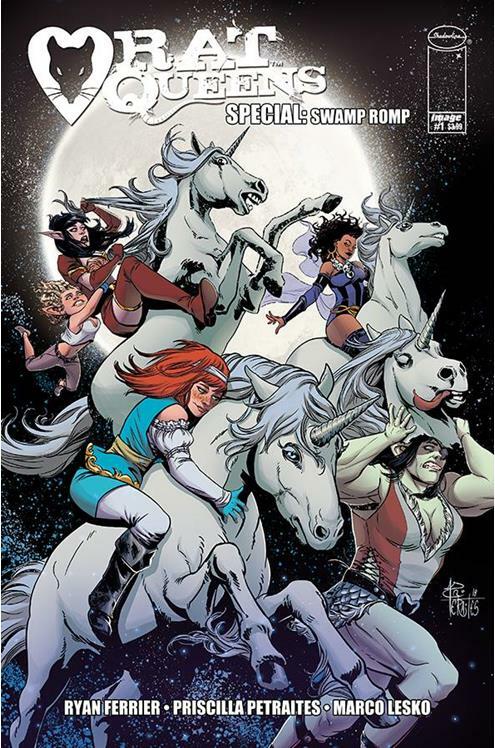 Featuring the all-new RAT QUEENS creative team, RYAN FERRIER (Death Orb, Criminy) and PRISCILLA PETRAITES (Brilliant Trash)-who will be taking the reins of the ongoing title starting with issue #16!.